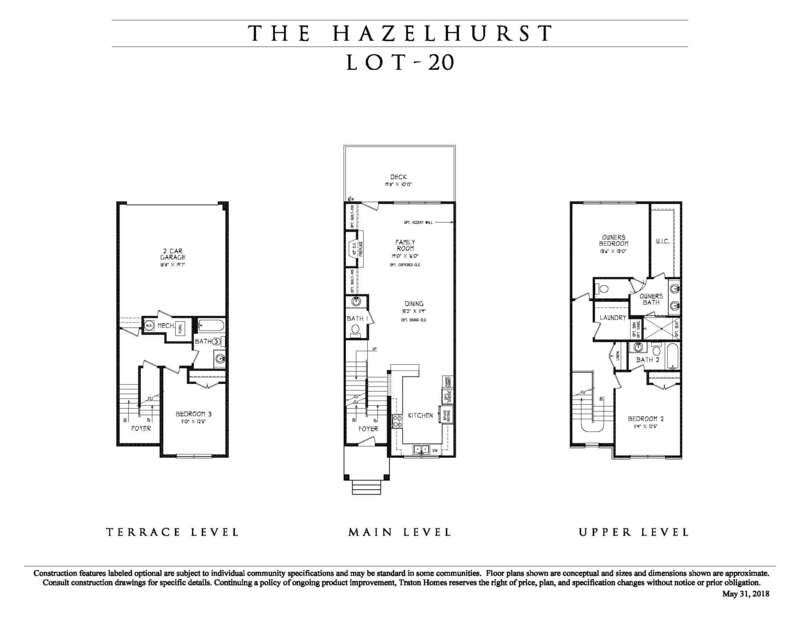 This 3 bedroom, 3.5 bath townhome plan features a bedroom and full bath on the terrace level. 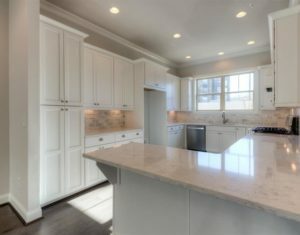 The main level flows seamlessly from the kitchen with stainless appliances, to the dining room to the family room with fireplace. Triple windows overlook the deck adding to the spacious feel. Upstairs features the owner’s suite with huge walk-in closet, laundry room and guest bedroom with full bath. This plan will differ slightly by unit due to first floor stair variations. 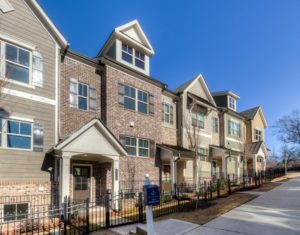 See agent for unit specific floorplan.